NICE VINTAGE SET - ON SALE SAVE $19.00!! 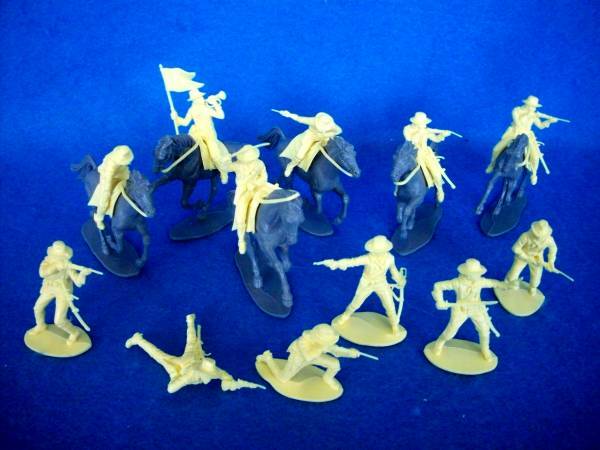 A complete 24 piece set of Airfix 1970's vintage U.S. 7th cavalry. 12 figures, 6 foot and 6 mounted with 6 horses and 6 sets of saddle/reins. All are in excellent condition. Figures a cream color horses are gray.